At MVCS, we believe that the natural world is an exceptional classroom to inspire wonder, independent learning and critical thinking. Following the work of Maria Montessori, we recognize that children learn and grow incrementally in response to where they learn and develop. Our campus, at the foot of the White Mountains in Grafton County, provides a unique opportunity to harness our landscape as a primary teaching resource for our students. We believe in the vital importance of encouraging in children a sense of respect and stewardship for the natural world and for all the inhabitants of the earth. A nature- based curriculum offers unlimited opportunities to create a dynamic learning environment that integrates science and math, history and social studies, languages and art. In this educational environment, children are allowed to develop at their own, natural pace and specially trained teachers help guide them toward discovery with materials designed to cultivate concentration, motivation, self­ discipline and a love of learning. In concert with teachers, students play an active role in developing their work plans and the direction of their studies. By assuming their share of the responsibility for their own learning, students build independence and confidence; they also learn to identify their strengths and weaknesses, empowering them to challenge themselves. At MVCS, teachers also encourage students to create and develop real-world projects that enable them to apply new skills across content areas and to develop leadership skills. Time outside ignites student curiosity and engagement with their learning. 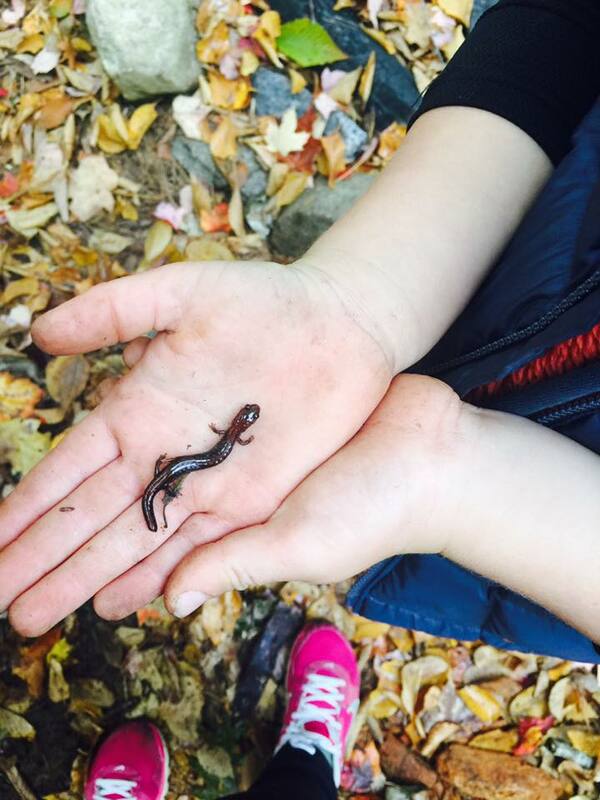 Nature-based education uses a hands-on approach to experiencing the natural world. Nature-based education is learning about nature, and also learning through nature. Through active work and learning play in natural environments, children learn about themselves, their peers, and the world in which they live. When we take the Montessori approach outdoors, students discover what they love about the woods, rivers, marshes, and fields; they become nature advocates to their peers and community. In this educational environment, children are allowed to develop at their own, natural pace and specially trained teachers help guide them toward discovery with materials designed to cultivate concentration, motivation, self- discipline and a love of learning. Working and playing in natural environments is a universally preferred activity for all children across cultures. It increases a child’s motor skills, collaboration and creativity. These same children have greater ability to concentrate, act autonomously and resist life stresses. They also show a greater tendency toward empathetic and compassionate interactions with their peers and other adults. As they mature, these children are more likely to develop caring attitudes toward the environment, and more likely to develop positive environmental life habits. In sum, nature­-based education changes the way that children approach learning. It energizes students to learn in all subject areas, and it empowers them to become active explorers of their own world. For additional information on nature-based Montessori education at MVCS, see our FAQs. As described above, nature-experience provides a context for MVCS curriculum, educating through nature. This approach enables our students to develop a broad understanding about nature, as well. A student who is immersed daily in natural environments, guided toward inquiry, and supported in their curiosity and individual interests will learn about the natural world and their role in it as an integral part of their education. Students who graduate from MVCS will have spent well over 2000 hours of time in direct nature-experience. These children will be some of the most ecologically literate citizens in the state or region. They will, perhaps unwittingly, have become experts in the flora and fauna of our region, in the seasonal changes of soil, water and sky, in the environmental challenges and potential solutions specific to their home community. They will know such details as where red-backed salamanders hide in dry times, what flowers bloom first in shaded forest plots, which frogs prefer moving water and others ponds, which birds return first to their home. They will have an intimate familiarity with their natural environment not seen in common NH citizens for generations. With this experience and knowledge, MVCS students will strengthen their identity and confidence, cultivate their interests in science and technology, and develop the capacity to problem-solve environmental issues. At MVCS, we strive to educate the whole child and provide a solid intellection, social, emotional, and physical foundation that will serve students well beyond their years at the school. Louv, Richard. Last Child in the Woods: Saving Our Children From Nature-Deficit Disorder. Algonquin Books. 2008. Sobel, David. Beyond Ecophobia: Reclaiming the Heart in Nature Education. Nature Literacy Series Vol. 1. Orion Society. 1999. Sobel, David and Steven David Johnson. Place-Based Education: Connecting classrooms and communities. Nature Literacy Series, Vol. 4. Orion Society. 2004.